In a market that is crowded by average vehicles vying for attention, one truck definitely stands apart: and that's the legendary Ford F-150. Carrying on the legacy is this year's all new Ford F-150, and we're about to find out how it knocks the ball out of the park. On the exterior, the new Ford F-150 looks exactly like what it claims to be: a sturdy, solid pickup truck which will be with you every step of the way through rough terrain. 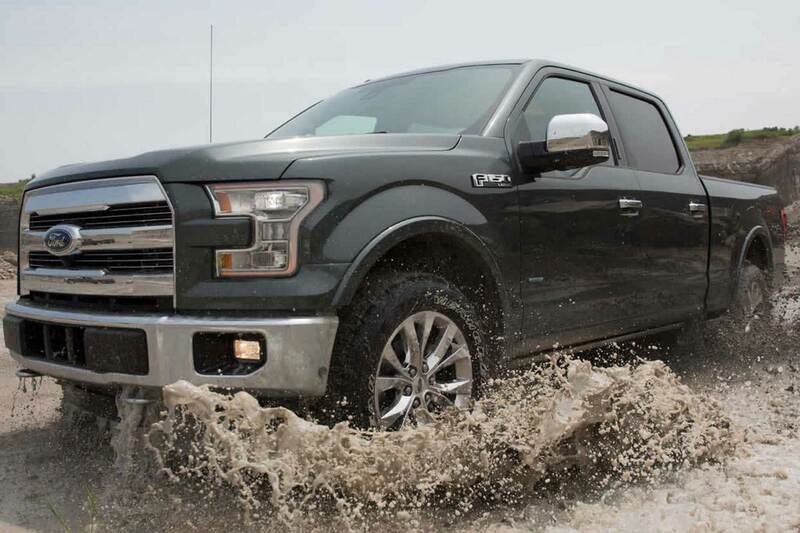 The new Ford F-150 is made of a high-strength, military-grade aluminum alloy body with a high strength steel frame. With 5-star crash ratings from an extensive torture testing report, you know it's got what it takes to match up to your heavy demands. Ford recommends a regular unleaded fuel, and its fuel economy figures are in the ballpark of 19, 26, 22 mpg for city/highway/combined, respectively. With the payload package (four wheel drive), you might get anywhere around 14-15 in the city, 19 on the highway, 16 combined. With electric-power assisted steering, power anti-lock 4-wheel disc brakes, it's a better ride altogether. A pickup should know it's meant for towing, and the Ford F-150 is no stranger to some heavy duty work in this arena. With a wheelbase ranging between 122.4in to 163.7in, and you get to choose whether you want to engage a two wheel or four wheel hitch drive type. The engines have a GCWR value of 9,400-12,200 lbs., which is plenty for most heavy-duty lifting. 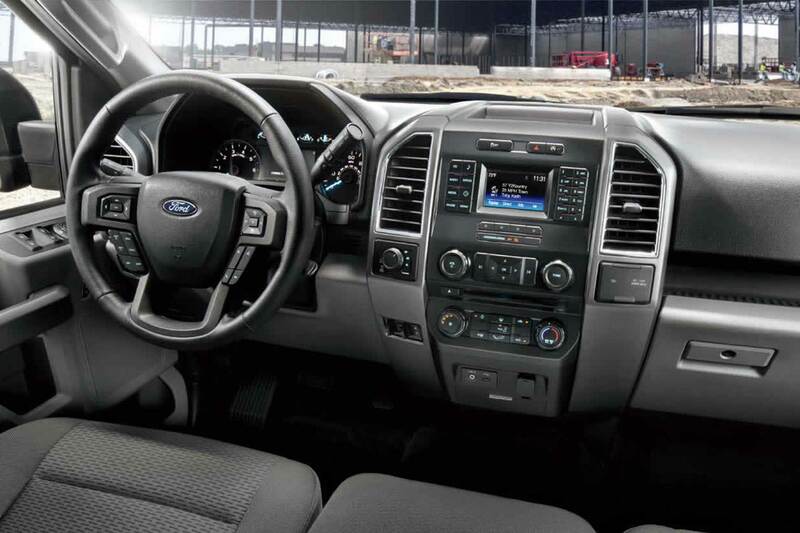 Not only does the F-150 afford users the luxury of a comfortable drive with features like driver assist, off-road mode, electronic visors, it packs in a punch when it comes to performance. With the best-in-class payload and pickup box statistics, it gives you a work-ready cargo bed, in-cab storage, and an enhanced engine for more power. Plus there's always some satellite radio and voice-assisted driving for when you are on the long road ahead or even for just a 15 minute drive. Overall, this might just be the most complete pickup truck package seen in years.